Join Jason Hartman and Dr. Nicholas Begich, an independent scientific and political researcher, and publisher and co-owner of Earthpulse Press, as they discuss the significance of HAARP – High Frequency Active Auroral Research Program. HAARP is jointly managed by the US Air Force and the US Navy, and while its primary function is scientific ionospheric research for military defense, there are also implications for controlling weather and populations, as well as how we can develop a strong influence for personal and global change through technology and our own internal power. Listen in at www.HolisticSurvival.com/ to learn more about a number of issues related to HAARP, including weather modification, communications interference, and mind control. Dr. Begich describes himself as a pathological optimist, seeing the possibilities of further development of HAARP enabling us to discover our highest potential as human beings, including telepathy and ESP. 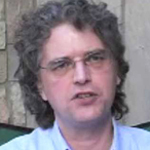 Dr. Nick Begich is the eldest son of the late United States Congressman from Alaska, Nick Begich Sr., and political activist Pegge Begich. He is well known in Alaska for his own political activities. He was twice elected President of both the Alaska Federation of Teachers and the Anchorage Council of Education. He has been pursuing independent research in the sciences and politics for most of his adult life. Begich received Doctor of Medicine (Medicina Alternitiva), honoris causa, for independent work in health and political science, from The Open International University for Complementary Medicines, Colombo, Sri Lanka, in November 1994. He co-authored with Jeane Manning the book Angels Don’t Play This HAARP; Advances in Tesla Technology. Begich has also authored Earth Rising – The Revolution: Toward a Thousand Years of Peace and his latest book Earth Rising II- The Betrayal of Science, Society and the Soul, both with the late James Roderick. His latest work is Controlling the Human Mind – The Technologies of Political Control or Tools for Peak Performance. Begich has published articles in science, politics and education and is a well known lecturer, having presented throughout the United States and in nineteen countries. He has been featured as a guest on thousands of radio broadcasts reporting on his research activities including new technologies, health and earth science related issues. He has also appeared on dozens of television documentaries and other programs throughout the world including BBC-TV, CBC-TV, TeleMundo, and others. Begich has served as an expert witness and speaker before the European Parliament. He has spoken on various issues for groups representing citizen concerns, statesmen and elected officials, scientists and others. He is the publisher and co-owner of Earthpulse Press. He served as Tribal Administrator/Village Planner for the Chickaloon Village Council, a federally recognized American Indian Tribe of the Athabascan Indian Nation for five years and served four years as the Executive Director of The Lay Institute of Technology, Inc., a Texas non-profit corporation. Currently, Begich consults for tribal organizations, private corporations and others in a number of research areas.